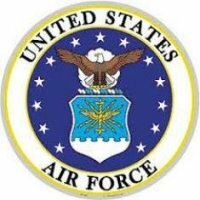 The Commander of Air Force MWR should be fired now! This place is a complete wreck. It appears not one single MWR dime has been re-invested back into this facility. We stayed in one of the mobile homes which is over priced for what you get. You can rent an ocean fron condo for the cost of a mobile home. The water was cut off twice during or stay, no notification, construction vehicles everywhere, cable cut off twice during or stay for a day and 1/2. Everyone we spoke to from campers to those staying in the dumps up front were so mad. I think it is very deceptive for them to take your money and not be up front about how the condition of this place is so poor and you may want to look somewhere else to stay. I agree with the other person's post, It is a shame the Airforce has allowed this place to become a complete dump. I will never go back to this facility. I have traveled to many of the MWR Facilities and this is the worse one I have ever seen. What a disgrace to the Military and their families. We have used this facility for years. It is a shame that is has been allowed to fall into such disrepair. In the last two years they have managed to paint two of the front cottages and the latest color is just a garish pink/mauve color. The painting would be helped if they actually repaired any of the siding on the buildings. Millions of dollars worth of property and it looks like a very poor facility. The latest trip we were in the dorm type rooms, which we realized they share a bathroom. The building we were in Hercules, every toilet flush sounded as if it were in your room. There is no sound barrier, every fart, every sound the other room made..we heard it all, the 2:30 am bathroom trips were quiet a rude awakening. The tent area is also something we used this trip, the bathrooms are closed now because the floor is damaged. No toilets or showers in the tent area, the washer, the pier, the cleaning sink nothing had water. Thank God we had the room, because the rec room was also closed..no idea where we should have taken showers. The cleaning crew do not replace your towels, you have to leave the beach to do that for two hours at some building..what are you paying for? Not really sure. The general area does not have wi-fi (cottages, trailers etc. ), nor phones..the TV in the room was blurry not sure if it was the cable or the TV itself. Because we were in the room we did have Wi-fi...but it was wired. The laundry in the RV area was quite rude, the floor there is also starting to fall through..the people in the area removed my clothing and threw them on a mosquito ridden table..nice huh? Could not wait the five minutes it would have taken me to get back from across the compound. Perhaps if they put the money they are taking in from those cottages and trailers..around 4000 a month in the summer and actually cleaned them up, changed the filters in the air conditioning, repaired the siding, the walls inside and hired people to work around the clock instead of shutting everything down at 5 pm it would or could be a great place. 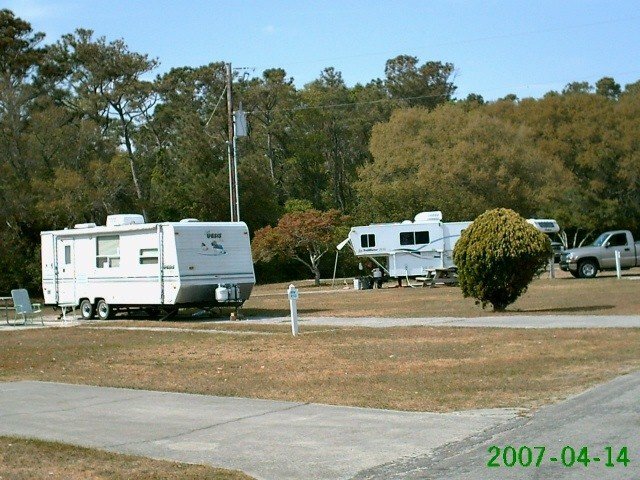 In the last 14 years more and more have the activities around the place have been closed or torn down..it's a true shame..it could be a beautiful place...check around in Carolina or Kure beach..you may be able to find a better value..unless you are an RV camper they are not catering to you!